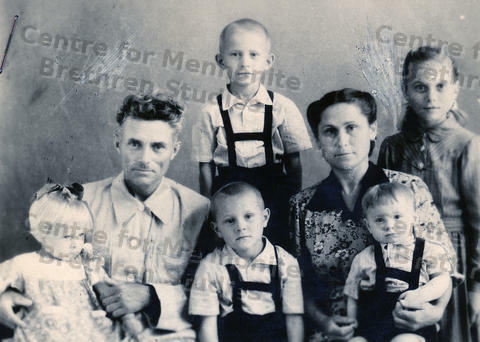 This photo is of the Abram Willms family of the Caucasus region in South Russia. The photo shows the parents, Abram and Ella, and their five children.The oldest is their daughter, Eleanora, born in 1948. Next is a son, born in 1952. Then is Waldemar born in 1954, Wallentina, born in 1956, and Kolja, born in 1958.